While I was used to the idea that the month of June is synonymous to back-to-school (Yes, I know it's not anymore! ), this month is also deemed special as it's when we also celebrate anything and everything about one-half of our folks. And while I know the Father's Day has long come and gone, we have a lifetime to show this special man our love. We also have a whole month to treat him to goodies he'll surely love! And since I'm an inclusive person, this post isn't only a gift suggestion for dads. Actually, these #loveSnR finds are also perfect for your other special man *coughSOcough*, or your brother. Heck, these can also be nice buys for your mom, your sister, any relative, friend/s, or even for yourself. There are a good number of items here that I myself am interested to purchase! Anyhow, let me stop rambling now and go straight to showing you these nice finds from my recent trip to our favorite members-only shopping center, S&R. 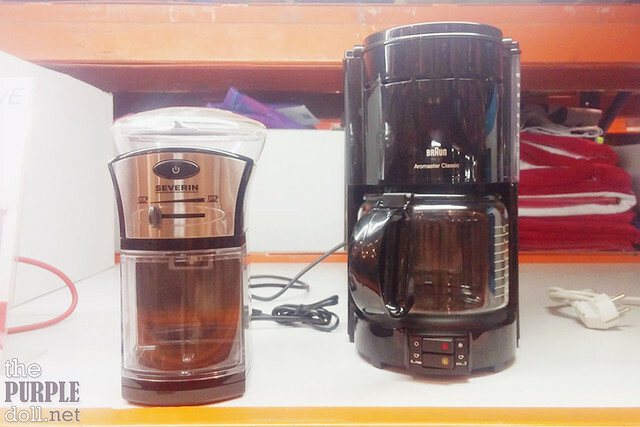 Coffee lovers are sure to rejoice with either (or better, both) of these coffee-making must-haves. I actually really liked the espresso machine and thought it would be a good gift for the boyf. Unluckily though, he can't drink a lot of coffee nowadays due to bad acid reflux. Maybe some time in the future if this goes on sale again. 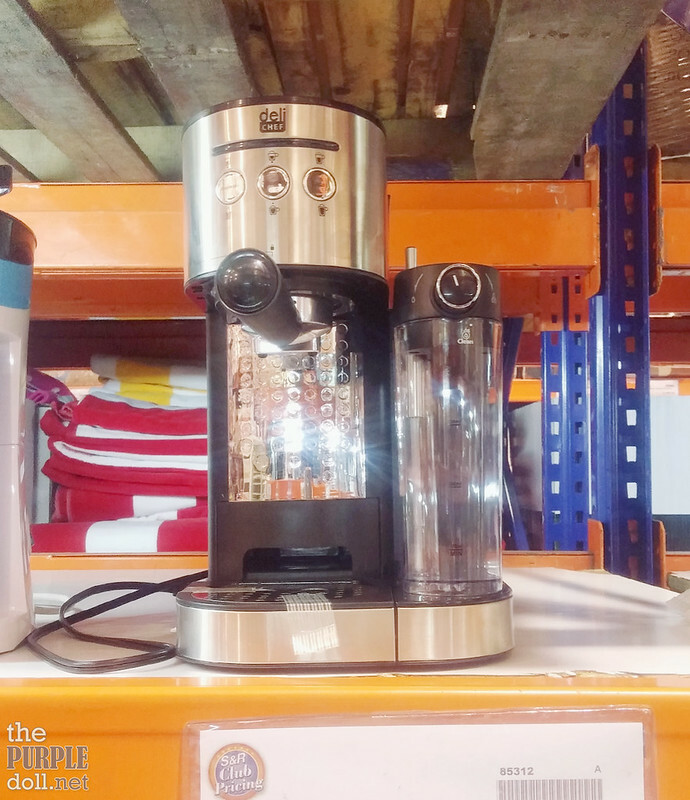 The grind and brew on the other hand, would be a perfect gift for a newly-wed couple. If only it were on sale a month ago when I attended a wedding... Sigh. Another nice gift for any coffee lover is the Mr. Coffee Mocha 18oz. Tumbler (P299.95) which is on a buy 1 get 1 promo. Now these are what my dad and I both bond over -- barbecue! We have a really old one at home, so it was high time to finally replace it. I really wanted the gas griller, but since it was out of the budget, we'll have to settle for the portable one -- which is actually a good choice since it can easily be set up and tucked away. 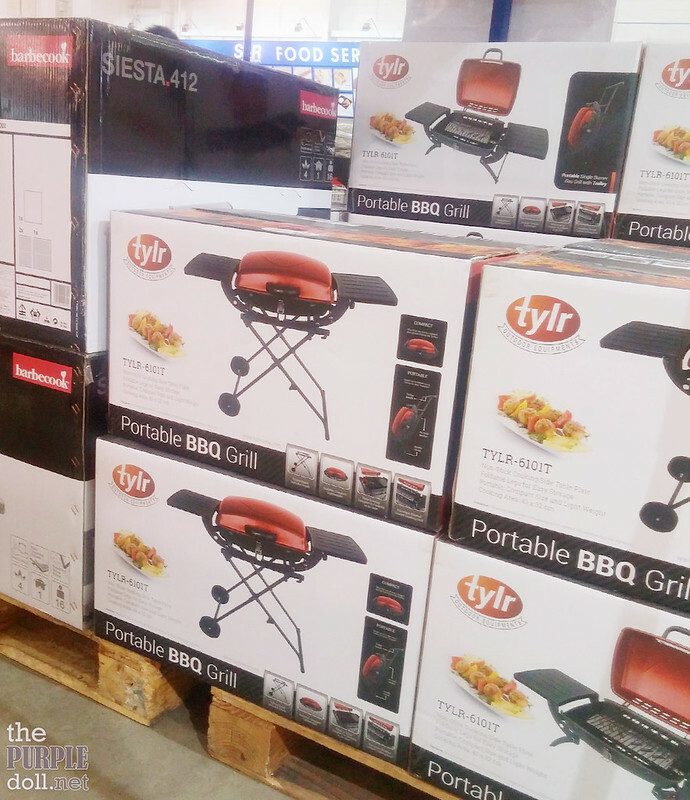 I'm still looking around for other coal grill options, but so far, the Tylr is a good candidate. 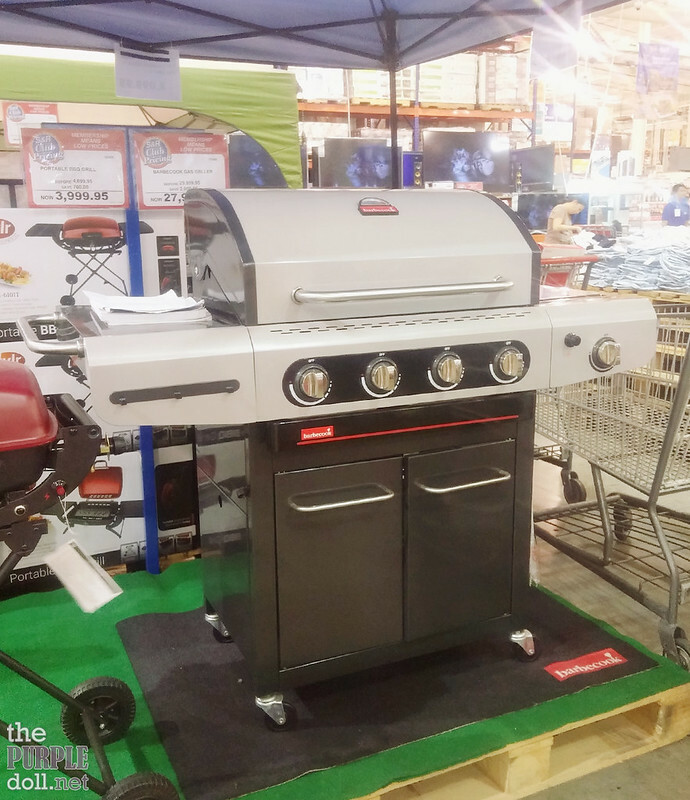 As a BBQ lover, I also can't help but 'want' the Barbecook table grill. 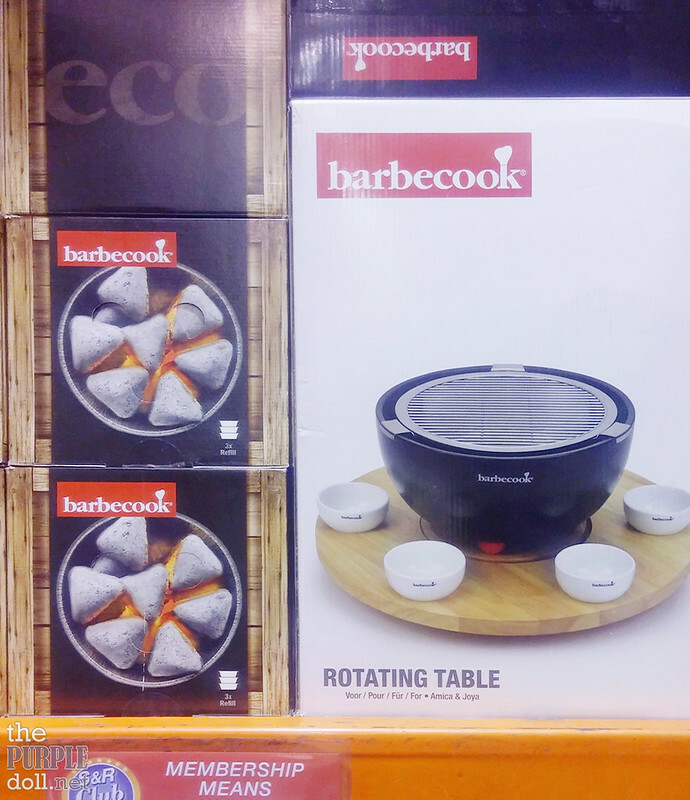 It's a good size for a family of four to six, and I'd definitely get the Barbecook Rotating Table with it should I successfully convince myself to succumb to the BBQ temptress. For the builders, crafters, DIY-ers, these storage systems are sure to impress. 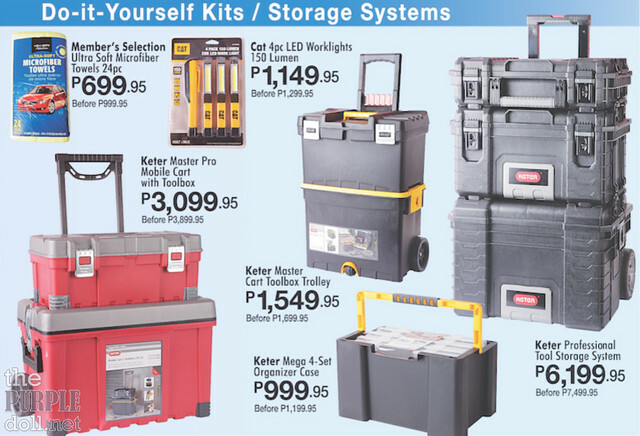 If only my dad were 20 years younger -- back when he was an active DIY builder, I would definitely gift him a storage system for his carpentry and machinery tools. But who knows, maybe I'll be following his footsteps soon. At the moment, I'm already growing a collection of spray paints, screwdrivers, hex keys and X-Acto knives. If you've been following my monthly #loveSnR logs, you'd already know how much I love this stuff! I can't visit S&R and not get a bottle or two of this freshly-squeezed Orange Juice (P369.95)! I was supposed to get a bottle of fresh Pineapple Juice (P218.95) during this trip, but they already ran out of pineapples. (Θ︹Θ)ს I guess this is what I get for daring to go to S&R too late in the evening. 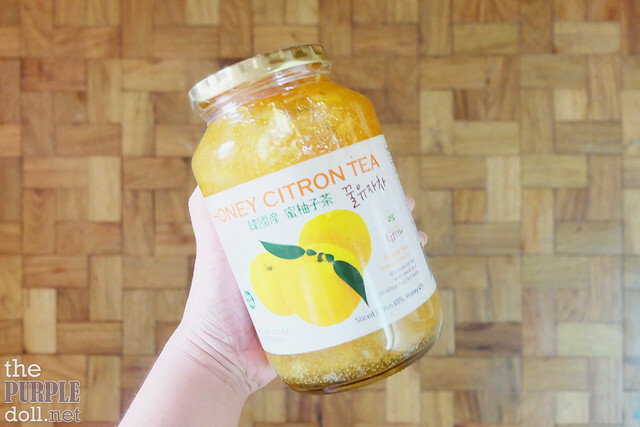 Another good find of mine is this jar of honey citron. I haven't tried it yet as of this writing, but if it tastes anywhere near the honey citron teas I buy off of Korean bakeries and cafes, then this would be a winner. It's pretty economical as you only have to put a tablespoon in a tall glass, which you'd have to fill with hot or cold water, or even sparkling water or Sprite (or 7Up) to make either honey citron tea or honey citron ade. 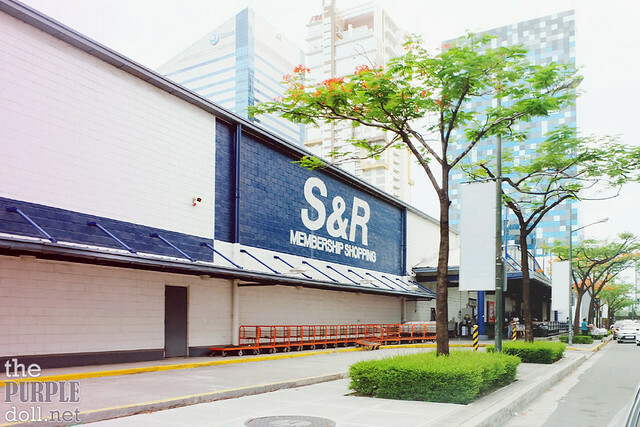 Anyhow I'll be updating about this on my next #loveSnR post, so stay tuned! Aaand... 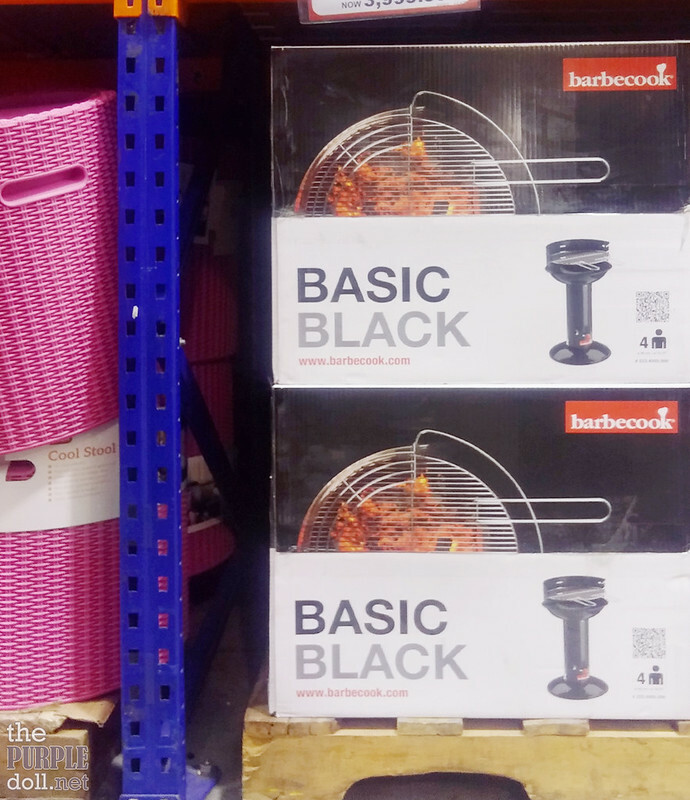 I hope you found this post helpful should you be in the market for coffee makers, BBQ grills or storage systems. But if you're not, I hope you still enjoyed this #loveSnR June special. Anyway, I wish June has been a good month for you, as it sure had been for me. Well, not entirely though as the first half was more stressful than I expected. But the latter half treated me better.